Being a huge believer of the importance of INTEGRATION instead of implementation, my answer to that is NO. Businesses today are too caught up with the ideology of social media but fail to realize the huge potential social media can bring when integrated into traditional marketing efforts. It is important for businesses to realize that social media integration does not mean that by having social media presence everything will fall into place. If you take a look at same of these real life integrations of social media with Facebook and Twitter, you’ll find that these companies are successful online because they managed to integrate it into existing OFFLINE business operations. Have an event coming up soon? Whether it is an exhibition, launch or a regular meetup / happening, explore how you can spice up your event with available social media tools. You can use Facebook to share photos leading towards the event to build hype and organize giveaways; use Twitter to share real time updates on what’s happening on the scene and behind the scenes, facilitate tweetchats or setup a Twitter wall at the event with a contest mechanism to build followers; rewarding visitors that check in to your venue on Foursquare or even a treasure hunt! 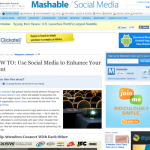 There is a timely article written on Mashable yesterday on this very topic with 5 ideas on how you can enhance your events with social media. Click on the thumbnail to check it out! You have a new product or service and is wanting some follower / fan love? Facebook can be used to disseminate information regarding your product or to give out demo units; if you have an existing network, identify strong personas and request for them to review your product and service on blogs; use Twitter to it’s fullest potential by sharing exclusive deals or twouchers (vouchers) to start a string of retweets; perhaps the mayor on Foursquare entitled to a VIP-class treatment of your service? I can’t stress the importance and the effectiveness of customer service using social media. The more active channels you make available for your customers and prospects to approach you, the better. The 2 common mediums are Facebook and Twitter. If you can capitalize on these 2 you should be in the run of something good. Do not leave questions unattended for days, reply to every enquiry within 1-2 hours consistently and your customers will find GREAT value in your service. One thing to note is that you should never, ever give out inconsistent / inaccurate information on social media as you could cook up a storm in a matter of minutes, especially if you have a huge network. If you’re feeling adventurous, you can even use Twitter to take orders for your business like Coffee Groundz did! Have you come across any interesting social media integrations into real life (offline) operations? With new bloggers joining the blogosphere each and everyday, the demand of having a personal domain name (e.g. www.yourname.com) remains as high as ever. If you’ve always wanted this but do not know how, this article will be guiding you through a series of steps to get your very own self hosted WordPress blog up and running in no time! A domain name is your site’s address or URL and it has to be hosted before anyone can see it’s contents. To see whether your desired domain name is available, I use www.GoDaddy.com (for .com / .net / .org / international domains) and www.DomainRegistry.my (for .com.my / .my / org.my / local domains). Let me start by saying that having a .com does not make one more superior than a .com.my in any way, vice versa. The only difference is that a .com.my (Malaysia) or a .co.uk (UK) for that matter, is controlled locally by their respective country’s registrar for domains – which also means that you may need to have certain qualifications / requirements for you to obtain it. For example, to qualify for a .com.my domain, you’ll need to have a registered business / company with SSM (Companies Commission of Malaysia) while a .my domain requires you to have a Malaysian identification card (IC) number. a. Operating Systems – Usually between Windows and Linux. 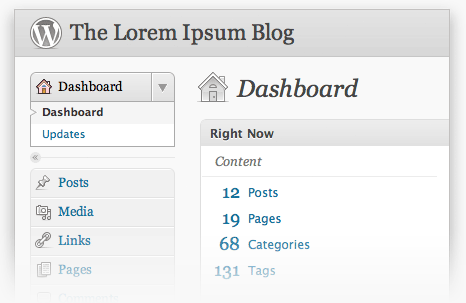 If you’re only interested in running WordPress on it, then either does not matter. However, some providers have their prices tagged differently (e.g. Windows more pricey). b. Space - This is your storage space, some what like your hard disk space on your computer. If you’re not planning to upload tons of pictures and videos to your site directly, anywhere between 5GB – 10GB of space would last you for quite some time. To save space, you can always upload your pictures to Flickr while videos to YouTube and link them to your posts whenever needed. c. Bandwidth - The larger the bandwidth, the more traffic your site will be able to handle. Usually hosting providers offer 2 – 5 times the bandwidth of the storage space in GBs (e.g. 10GB space -> 50GB bandwidth) which should be more than sufficient if your pictures are off loaded elsewhere such as on Flickr. d. MySQL Databases – WordPress runs on MySQL Databases and each blog requires ONE MySQL database so make sure your hosting package has at least 1 (any more won’t hurt!). Note that there IS a difference between MySQL and MS SQL databases! e. Email Accounts – Fancy a hello@yourname.com email address? This is what it’s all about. 5 email accounts will grant you up to 5 different email addresses and so on. If you used to have a blog on WordPress.com, it’s time to abandon that and head over to WordPress.org instead and download the latest WordPress version (it’ll be in a zip file). When it’s done, simply unzip the file and rename it (if you wish). Now, there are several steps you’ll need to do and this famous 5-minute WordPress Installation Guide will lead you through the entire process with a breeze! If you’re wondering what is this FTP thingy mentioned in the guide, think of it as a way for you to upload your files to the server. You can do it either through a software e.g. FileZilla or WS_FTP. Either software will require your login credentials which will be provided by your hosting service provider. a. Pretty Permalinks – Changes the links of your posts and pages from www.yoursite.com/?p=123 to www.yoursite.com/something-that-makes-sense. Why? You’re telling search engines what your post is thus making you look good on the ranks. Note that some servers are not automatically configured to process pretty permalinks. Linux servers requires the Mod_Rewrite module while Windows servers requires the URL Rewrite module for pretty permalinks to work - contact your service provider if unsure. Database Backup – One of my favorite as it automatically sends the database backup to my email on a weekly basis. I do not need to worry about missing posts again! With all those in place, you are now free to configure your desired theme, import posts from your old WordPress blog or even get started on your very first post right away! 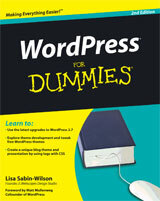 Starting your own website has never been easier with WordPress and you should really have one if you have not already. 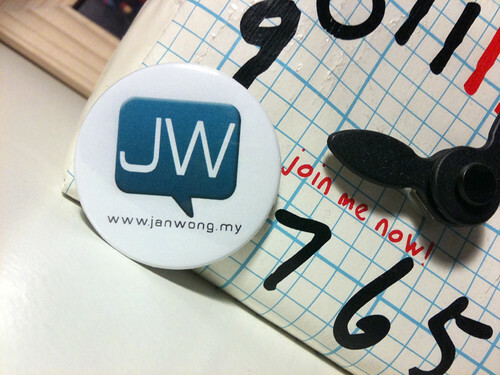 This site you’re on now (janwong.my) is hosted on a huge server with sarahtay.my as it’s only neighbor for now. It gets a little lonely here so if you’re interested, I can do all the steps above for you from domain name purchasing (.com), web hosting, installing AND configuring WordPress for a mere RM120 per year on a goodwill basis! A new neighbor and no longer owning an under utilized server! Recently I’ve managed to talk to a number of business owners and it would seem that each of them have a common situation – they do not know how to get themselves noticed by the consumers. The common solutions discussed often revolves around advertising, advertorials, and social media in general. Bear in mind that these are business owners that have been in business for years and yet in the quest of finding (effective) ways to get themselves noticed. Sometimes, getting noticed isn’t even about being unconventional – it’s just about getting yourself seen or heard. A: Oh, what kind of solutions do you offer? B: We specialize in every aspect of IT. We are a one-stop solutions centre. Does the conversation above sound familiar? The lack of a focus often confuse customers on what are you offering in the first place and it puts you in a situation where you cannot afford to spend time highlighting your brand strengths. It’s always easier being a big fish in a small pond and eventually hop into another pond – not otherwise. Interesting contests has it’s way among consumers. You can either create one yourself or even sponsor one if that’s too much of a hassle. Social media tools such as Facebook allows contests to be set up rather easily and has the potential to rally up huge responses when done properly. Putting up your products / services as prizes will draw attention to your brand, too! Click here to learn how to setup a Facebook contest the right way. Participating in events often draw attention to a brand – especially huge ones. Hosting your own event can bring about many advantages since you’re the highlight but it can take up a lot of resources including time and money. Alternatively, you can choose to hop upon events that has similar interests as your brand. For example, an IT company may participate in a Technology Expo or even to become a sponsor to gain additional millage from the event. Try to explore various opportunities to see how you can tie up closely with the event (e.g. workshops, seminars, etc) to take full advantage of the expected crowd – it’s the least you can do. If you have interesting thoughts, experiences or techniques to share, this is for you! Most authors do not write to make millions out of it but to receive the exposure and credibility to their brand. With the help of technology, authors are also moving towards producing e-books due to the low production cost involved as compared to a physical book. In fact, this is something I would want to do, too! To start it off, you may also want to consider starting your own blog as a stepping stone before publishing your own book! Starting up a blog brings great value to your brand especially in this digital age. Givers gain! Give publicity to others. 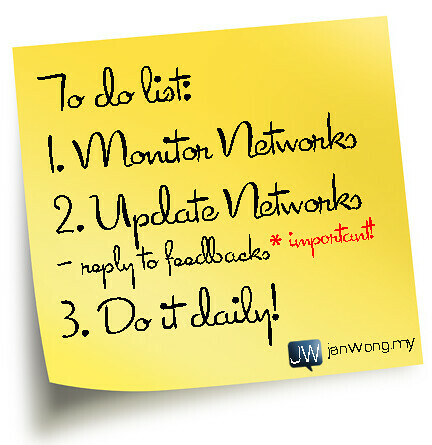 Take up the opportunity and initiative to spread the good word about other companies, partners and affiliates. Take an additional step by getting close to industry influencers and help them solve their problems by sharing your contacts with them. Many will repay you by sharing YOU with their contacts and to put you in front of their customers as well. There are tons of other ways to get yourself noticed and the above is just the tip of the iceberg! In a nutshell, to get noticed is all about you being able to look out for opportunities to shine and not so much of the right technique or the right avenue. The more you’re out there grabbing those opportunities, the more you’ll be noticed. Levi’s knew what they wanted to do and achieve with Twitter. They wanted to target the young male demographic which eventually led towards hiring Gareth as the @levisguy to share behind-the-scenes stories at Levi’s events and updates on new products. Why is that so significant? Levi’s knew what it takes to create a bond, a connection with their fans. By hiring someone in the same demographic, he will be able to speak the same language the fans speak, allowing him to spur conversations about topics that matter to them, such as the latest fashion trends – without being awkward. Dell understood what they need – they need a tool to get the word out fast due to their nature of business. They went on Twitter and have not turned back ever since. On Twitter they realized that people are interested in talking to them, asking questions and sharing their experiences, both good and bad. With that, Dell now concentrates on interacting with people while keeping deals to a minimum to avoid spamming. Those are not ordinary deals though, they are exclusive, Twitter-only deals which has received very positive response having booked more than $3 million in revenue attributable to its Twitter posts. They minimized promotions with their followers in mind but offered exclusive deals whenever a post is due – 2 birds in 1 stone. This is perhaps my most favorite integration of Twitter in a business! Unlike other examples, CoffeeGroundz is an independent coffee shop in Houston that sells a variety of locally roasted coffee, tea, pastries, sandwiches and the likes. Being new to Twitter, it took J.R. Cohen (General Manager) awhile to grow the number of followers on Twitter organically – and that changed everything. Cohen took Twitter 1 step further by asking his followers from Houston to “come into the store and ask for J.R.” He will then take the opportunity to meet with each and every patron who asked for him by name! He created an opportunity to strengthen his bond with his followers, going beyond mere online interactions. What makes things even more interesting is that in 2008, one of CoffeeGroundz’s regular customers requested to place a ‘to-go’ order for a breakfast wrap. 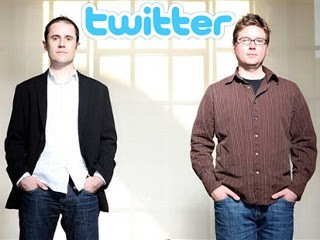 It is argued that Sean’s request for an order ‘to-go’ was the first of its kind on Twitter. And because Cohen is an avid user of Twitter, was able to reply quickly to Sean’s requests. With this reply, he implemented a whole new way to place and receive an order online, reserve tables and book the place – through Twitter’s DM service. How awesome is that? Sad to say that there are only a handful of great Twitter integrations in business back here in Malaysia. Businesses here seem more inclined towards Facebook but here is one that caught my attention – DiGi is seen using Twitter primarily to receive feedback, complains, questions and to provide support to their customers. In some cases, I was told that DiGi also offers special compensations and exclusive offers to dissatisfied customers on a case-by-case basis. Apart from that, it also acts to humanize the brand by interacting with their followers by posting birthday wishes and replying to what others are saying about the brand which definitely adds a human touch to the brand. 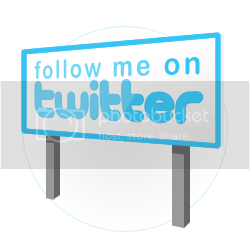 Hopefully the above examples are able to give you some idea and insights on how you can get started on Twitter. Remember that it takes time to get it right so don’t be too worried if you’re doing it wrong or disappointed with the initial results. Do you have an example that you would love to share? I would most definitely want to hear from you! A couple of weeks back we looked at how Facebook can be integrated into today’s businesses as an effective engagement platform. This time round, we’ll be looking at a famous micro-blogging tool called Twitter. Bear in mind that neither Facebook nor Twitter can cancel each other out – they each have their own unique advantages in which you may want to use to YOUR advantage. Though Twitter only allows 140 characters per update (called a Tweet), Twitter is now second to Facebook in terms of it’s usage. People seem to get along with Twitter pretty well as it is simple and straight to the point, unlike Facebook where distractions are aplenty. If you haven’t heard, Twitter is said to have about 2.1 million new users per week – a huge pool of potential opportunities you would not want to miss (click for interesting stats). Twitter is a great way of keeping in touch with contacts and obtaining new contacts. This is simply because you (and others) can easily look up fellow users that have the same interest / industry by searching keywords that relates to you and your business. Do it right and these networks can eventually lead to new ideas, collaborations and even partnerships that can be beneficial to both you and your business! 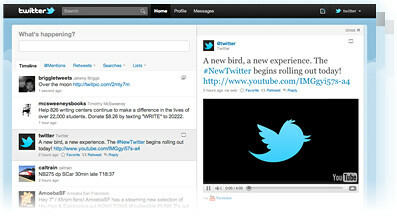 For some reason, Twitter is seen to be a more human approach as compared to blogs and Facebook pages. It adds a human touch to your brand and a face to your business. With Twitter, businesses can now engage in conversations directly with their followers and listen to their tweets – which is priceless to a business. You’ll now get to hear what your followers (if you follow back) are doing, what are they talking about, where they are heading to and etc, allowing you to get to know your followers better. Remember on Facebook pages, you won’t know what’s happening to your followers if you don’t add them as a friend on your personal account (which you may not want to do so). I must say that Twitter is an excellent research tool for your business and equally informative as Google. How so? Twitter is able to show results of conversations (Tweets) regarding your keyword from all over the world! You can also gain insights to trending topics globally to see what the world is Tweeting about. Imagine looking up keywords that relates to your business – you may find interesting Tweets talking about their needs, their wishes, feedbacks, rants, competitor’s product and etc. Yes, you’ve gained access to voices from real people across the globe! We will once again be looking at some examples on how Twitter is implemented in businesses worldwide along with some real tips on how you can do it too! I don’t know about you but I was one of those caught in the transition phase from the old to the new Twitter. I was in the midst of designing my own custom background days before the #newtwitter launched and my effort went to waste since the measurements are completely different from before. What’s sad was I did not have the #newtwitter until a couple of days back in which I could finally proceed with designing again. After some trial and error, I managed to get the measurements right and to my dismay (and many others too), the #newtwitter has very little sides to play with. Nevertheless, the below are steps on how you can create your very own custom #newtwitter background – the easy way in only 3 simple steps! I would strongly recommend 1280px x 1050px as most people have this to date but this is entirely up to you. Anything lower is a no-no. Note that I’ve purposely enlarged the resolution to 1050px instead of 800px as you may want the background to be fully covered even on non-widescreen monitors. 1680px x 1050px is the next most popular resolution. This is perhaps the most time consuming part of the entire process as you will need to get your designs filling the space around the Twitter timeline. The good news is that if you’re using Photoshop, you are able to use this template that I’ve created (and used) at no cost! Simply download it and change the background accordingly and you’re all set to go! 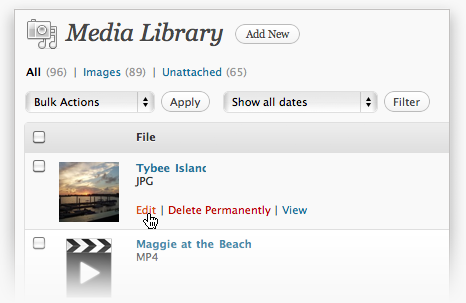 Simply save your masterpiece as a JPEG / PNG file, upload it to Twitter under “Settings > Design” and you’re done! If you are wondering how would your background look like on different monitor resolutions, I used this really convenient Chrome Extension to do the job for me without having to change the monitor resolutions manually on Windows. It simply allows you to switch between different sizes on the browser window itself! That wasn’t too difficult, was it? Check out my Twitter page to see what I did. I would also love to see what you came out with! Thank you to those that have been following the Social Media series! If this is your first time here, welcome and here are the links if you’ve missed out on Part 1 and Part 2. Enjoy! After looking at various real life integrations of Facebook in Part 2 last week, you may be all fired up to take it on now – which is great, but you may want to take a look at what Facebook has to say about promotions – you definitely do not want to risk your page being shut down just like that, with all your fans in it! Wow, that’s quite a list, isn’t it? To make things worse, that’s not the end to it and I would strongly suggest for you to look it up on the given link just to be sure yourself. And if you’ve read all of it, you’ll realize that the rules practically prohibits any form of competitions / contests to be organized on Facebook at all! All you need to do is to clear your promotion mechanics with an account representative from Facebook. However, this comes with a catch. You’ll also need to have spent about $10,000 in Facebook advertising to ‘qualify‘ yourself as Facebook mentioned that this is necessary to minimize scams on the network to protect other users. This also means that if you’re running on a tight marketing budget (or none), this is not what you would want to do either. If you have looked into the guidelines in full, it is 100% legal for you to have your contest / competition / campaign held OUT of Facebook, using Facebook to draw traffic to it. This also means that I can organize a giveaway on my company’s website / personal blog and announce it to my fans on my Facebook fan page to visit my external site. This is pretty straight forward but if you’re thinking “isn’t that too much of a hassle? wouldn’t it be better if it’s done directly on Facebook instead?“, read on! Remember the landing page technique we’ve seen in Part 2? That’s another way you can implement to have a little more Facebook “feel” to your campaign. 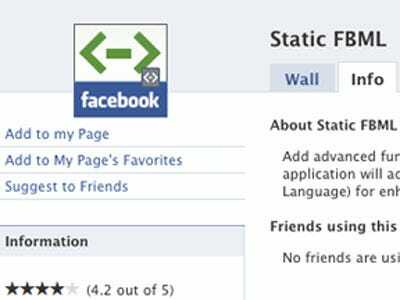 All that’s required is a nifty little Facebook App called the Static FBML Application. Simply add it to your Facebook page tab and with some minor designing, your landing page will be up and running! We won’t be looking at the various technical aspects of setting up FBML and the configurations but you can look it up here or here. However, remember that the FBML Application technique only allows you to create your very own customized landing page and DOES NOT facilitate contests and competitions. You can, however, link your landing page to your external site that runs the contest :) This also means using the landing page to attract visitors to your site that runs the contest. After all, a well designed landing page would be much more attractive as compared to your Facebook wall of texts! If you absolutely insist to hold your contest on Facebook itself, fret not – WildfireApp is here to the rescue! What it does is really simple – a step-by-step wizard to help you create your very own Quizzes, Sweepstakes, Contests, E-Coupons, Registration Forms, Trivia and more – you definitely can’t go wrong with that! The wizard also ends with a “Publish” option that publishes your new App to your Facebook page instantly! There is a slight catch, though – it isn’t free. However, the ‘basic’ package is only priced at $5 per campaign + $0.99 per day which is pretty affordable and sufficient for a mini campaign for individuals, bloggers and etc. The higher packages definitely has greater benefits including analytics, customizable templates, data export options and more! You can compare the packages over here. Remember that starting up your contest is just the beginning as marketing still has to take place. After all, you’ll want to make your investment worth and to build your fan base. For starters, I would suggest for you to work on a landing page using FBML and start testing out various techniques to draw attention to your page. Only move on to paid contest apps such as WildfireApp only when you’re comfortable with what you’re doing, and getting a somewhat steady response with your existing fans. That way, you can be assured that your investment will bring you results. As promised, this post reveals some real-life implementation and integration of Facebook into brands and businesses worldwide along with tips on how you can implement them yourself! If you missed out our discussion and tips in using the infamous Facebook as part of your business, you definitely need to look up Part 1 here. To set the pace of integrating your business in social media, take a look at the video below first (yes, even if you’ve seen it before)! Everyone goes through this humbling phase of starting up. You’ve just created your very first Facebook fan page for your brand / business with only you being a fan of yourself. You turn to your friends in your personal profile and have invited them to “like” you.. and it stops there. Why is that so? 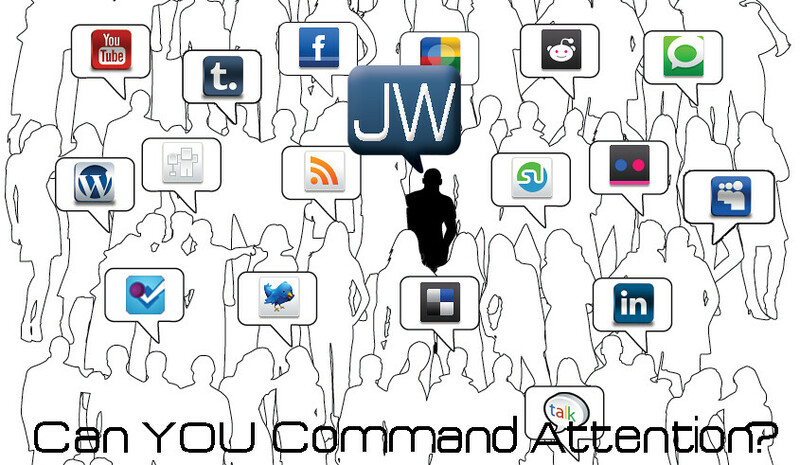 You are NOT commanding attention. Let’s take a look at Redbull. Instead of showing off wall posts, company information and whatnot to non-fans, Redbull implemented a very simple strategy to their page to command attention from the prospect as seen to the left – a simple, straight forward “call-to-action” image, and they are not the only ones doing it: Levi’s is also seen applying a similar strategy as well! This, is what they call a Fan-only Facebook content – exclusive contents using Facebook’s ‘Tabs’ functionality. It can be inside scoops, special discounts, participate in discussions, take part in contests and more! The key to a powerful landing page on Facebook is: Less. Yes, less is more! Do not confuse prospects with too many things going on. Consider being like Redbull – You definitely can’t miss what they want you to do; or like Levi’s – indicating the exclusive benefits you receive by ‘liking’ their page! Writing a sales pitch on the landing page is a big no-no. Do you really want to advertise your product / services to a prospect on Facebook? It doesn’t work that way on social media. How so? People come to you for a reason – to learn / to browse / to connect / to question / to feedback / to suggest / to complain / to win / to receive and NOT to be sold to. Taking a look at an example closer to home, Project One & Only is an online pageant competition in Malaysia using Facebook as their primary platform to screen through participants, communicating with them and the fans that are eager to know of the results. Incepted in June 2010, they managed to break the 5-figure mark within mere 18 days, now close to 30,000 fans and still growing! The secret behind this campaign? Attraction. Project O&O’s target are college / university students and they created something that would appeal to them by “making them famous” through this ongoing search in which the winner will undergo makeover sessions, participate in fashion shoots, special features on magazines and more. In short, they hit the spot among their target market and results were generated instantly. Not to forget, the Malaysia’s Online Fashion Entrepreneurs’ Weekend, a first-time offline event with over 90% of marketing done through social media alone, utilizing Facebook as their primary engagement platform. MOFEW recognized a niche and a need among the local online fashion scene and proceeded to put together an occasion for like minded individuals to gather and to highlight their entrepreneurial insights to the mass public starting on Facebook, then to an on-ground event. With over 10,000 fans gathered within less than 6 weeks, MOFEW manage to draw 0.5 million hits on the official site, ranked #1 on Google and successfully ran a 3-day offline event with 40,000 attendees from Malaysia and beyond (see official report here). Starbucks in the US launched a “Free Pastry Day” campaign, an event page on Facebook and there were more than 600,000 confirmed ‘attendees’ to the event! The news were spread all over Facebook through sharing and automatically triggered co-promotion for the brand / event. How did that happen? They started with their fans – Since the “Free Pastry Day” was first made known through Facebook, their immediate fans were the first to know about the news. At that time, Starbucks had about 3.6 million fans and the news were automatically shared across the network, because the fans were excited. Another F&B brand in the US – Dunkin Donuts is often seen throwing co-creation opportunities to it’s fans. Dunkin Donuts launched the “Create Dunkin’s Next Donut” competition in 2009 and managed to generate more than 130,000 donut submissions at 174,000 votes! Fans were asked to create their own virtual donut with the available ingredients, complete with a donut name and story behind the creation. The grand prize winner will have their donut sold in stores for a limited time! What did Dunkin Donuts achieve? An avenue for their brand to get their fans involved; and from the business aspect, they saw positive response in donut sales during the promotion period. The above examples are just some of the many out there that has made it on Facebook on different levels. Not everyone can make it to the Starbucks level, but one can definitely make it somewhere. Once again, remember Co-Creation and Co-Promotion – strategize your Facebook presence around that with some effort and commitment, and you’ll be on your way to a good start. We will continue to look at more integrations of social media into your business / brand BUT BEFORE THAT, stay tuned to Part 3, the final yet VERY IMPORTANT bit of integrating Facebook in your business! How to go about doing it the RIGHT way! A week ago we looked at what social media means to businesses, why social media is the way forward for businesses and also ways on how social media can be integrated into your business. Having read all that, you may begin to have a little something for social media, wanting to get started but know nothing about it? This post explores one of the many tools of Social Media that you could very well apply in your business / brand – the infamous Facebook. Most people today have a personal Facebook account and spend loads of time on it, be it on games or merely page / profile hopping, engaging with other users online. Millions of users access Facebook on a daily basis and this also means that Facebook has a potential ready market of millions to be accessed by your brand and you just need to be a part of this huge global network. What you need to do is to merely find ways to tap into it. The good news? Facebook is nowhere near in pulling their brakes. They are here to stay, continually innovating their services and recently seen wanting to integrate deeper into the mobile devices, tying in with Android operating systems. Just so you know, Facebook’s actual value is reported to be a whooping $23 billion (Forbes) and $33 billion by The Financial Times! The bad news? Having a Facebook page alone isn’t going to get you anywhere – it is only the beginning. 1. You’ll need a plan. 1. How many ‘likes’ to gain by end of the year? 5. Do you need a team to manage the page or an individual? 6. What do you need to do to achieve your goals? Like it or not, in most situations, even the most valuable content you can ever provide will be ignored – yes, despite the traffic. How so? Simple: they are NOT paying attention to you. There are so many things happening on the screen: instant messaging, emails, Skype, daily news and if that’s nothing, do not forget the various happenings inside Facebook itself (e.g. wall posts, photos, videos, games and etc)! Already sounding impossible? Not quite. You’ll need a PULL, something that draws their attention to you. No, definitely not advertising because consumers today are immune to advertising. They know when to turn away when an ad starts playing and even the most annoying popups can deliberately be ignored without being seen! It has to be something that RELATES to them. This PULL can be exclusive contents, benefits, giveaways, outrageous offers and more! Think of ways that will excite them. Some marketeers cleverly pack information into video presentations and aesthetically pleasing images - why? They know what relates and excites their followers: Videos and images definitely captures attention better than text. When it excites them, consumers are likely to share it across the social media. Once again, this is Co-Promotion through WORLD-of-mouth. Consistency is the key and this is perhaps the difficult part and determines the initial make or break. Most brand pages fail because they are unable to stick with what they have in mind. Either the management team is too bogged up with other work or they’ve given up after weeks of trying to no avail. Social media takes time, just like traditional businesses. You may hear stories of people making big money with social media over night but the truth is, most businesses can’t. This is where you may want to utilize your contacts, publicize your page on your official site, name cards, pamphlets, brochures, ads and etc to make use of your Facebook presence. You can hold discussions, get feedback, throw special promotions, contests and more to drive interest, traffic and participation to your page. Real life implementation and integration examples of Facebook in businesses worldwide! You do not want to miss this! Stay tuned!